By Frank_Fang – Twenty years ago, product-centric companies dominated a list of the most valuable companies in the world. The list was a Who’s Who of automotive, manufacturing, oil and gas, and brick-and-mortar retailers. This new economy forces product-centric manufacturing companies to rethink how they transform digitally to survive and thrive in a data-rich market. It’s no secret that new technology and new approaches eventually supersede the old. 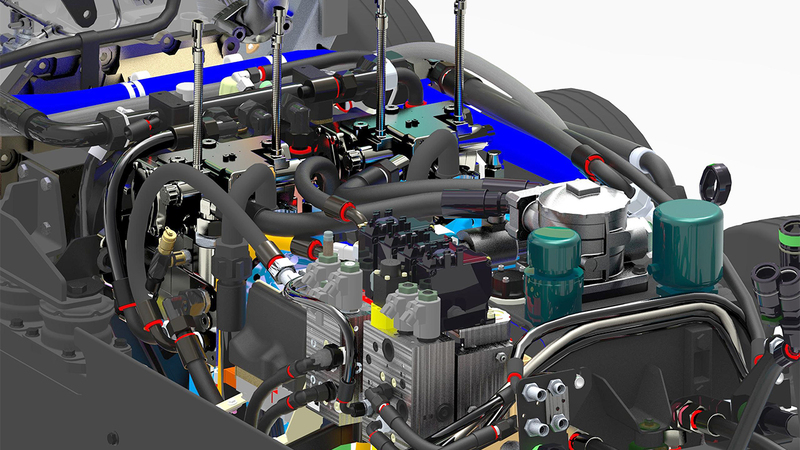 The digital twin is no longer science fiction. For example, NASA used this approach to design, engineer and produce two Mars rovers: Curiosity and InSight. By John Toon – Side channel signals and bolts of lightning from distant storms could one day help prevent hackers from sabotaging electric power substations and other critical infrastructure, a new study suggests. By analyzing electromagnetic signals emitted by substation components using an independent monitoring system, security personnel could tell if switches and transformers were being tampered with in remote equipment. Background lightning signals from thousands of miles away would authenticate those signals, preventing malicious actors from injecting fake monitoring information into the system. The research, done by engineers at the Georgia Institute of Technology, has been tested at substations with two different electric utilities, and by extensive modeling and simulation. Known as radio frequency-based distributed intrusion detection system (RFDIDS), the technique was described February 26 at the 2019 Network and Distributed System Security Symposium (NDSS) in San Diego. Autodesk – Manchester Metropolitan University graduate Elen Parry, a current Industrial Digitalization masters student at the university and an International Autodesk Student Ambassador for the UK, is focused on using “Human-Centered Design methods” to reduce exclusion against people. Her current project is a 3D printed wireless earbud concept, aimed at helping people with hearing disabilities fight the stigma around traditional hearing aids, while enhancing their hearing at the same time. Parry’s HeX earbuds, which were chosen by the Design Council’s CEO Sarah Weir as the top pick for this year’s ‘New Designers’ event, are audio headphones that can also be used as an advanced hearing device. The concept calls for the use of an advanced chip, which would receive and process sound signals and be able to differentiate and control what you actually want to hear and normal background noise. Users could decrease or increase the volume of their environment, which could help extend their ability to hear while at the same time protecting them against hearing loss. By Kenny Walter – A new type of transistor—which uses air gaps to eliminate the need for semiconductors—could help scientists produce more efficient nanochips. RMIT University researchers have engineered a new type of transistor that send electrons through narrow air gaps where they can travel unimpeded, rather than sending electrical currents through silicon. “Every computer and phone has millions to billions of electronic transistors made from silicon, but this technology is reaching its physical limits where the silicon atoms get in the way of the current flow, limiting speed and causing heat,” lead author and PhD candidate in RMIT’s Functional Materials and Microsystems Research Group Shruti Nirantar said in a statement. While the power of computer chips has doubled about every two years for decades, recently the progress has stalled as engineers struggle to make smaller transistor parts. By Ben Brumfield – Fuel cells have not been particularly known for their practicality and affordability, but that may have just changed. There’s a new cell that runs on cheap fuel at temperatures comparable to automobile engines and which slashes materials costs. Though the cell is in the lab, it has high potential to someday electrically power homes and perhaps cars, say the researchers at the Georgia Institute of Technology who led its development. In a new study in the journal Nature Energy the researchers detailed how they reimagined the entire fuel cell with the help of a newly invented fuel catalyst. By Charles Murray – Merlin Friesen, founder of embedded systems developer Golden Gate Research Inc., says that LiDAR is evolving faster than most engineers realize, thanks to the hard work of dozens of startups that foresee a practical future for the technology. “There’s really been an explosion of companies building LiDAR,” Friesen told Design News. Friesen’s message might come as a surprise to engineers who follow the auto industry and who understand how costly LiDAR systems can be. But, he said, self-driving cars are a demanding application that call for features that may not be needed in industrial robots and drones. Rotating LiDAR units, for example, are the norm in autonomous car applications, but are unnecessary for many industrial applications. Similarly, industrial units may not need GPS systems, accelerometers, or gyroscopes. Friesen added that the new, smaller LiDAR units have also made in-roads into other mobile applications. His company has incorporated LiDAR sensors weighing a few hundred grams in drones for mapping. By Charles Murray – A new reference platform promises to speed the development time of automotive radar devices for adaptive cruise control, automated braking, and automated steering. NXP Semiconductors N.V., maker of the new platform, says that it provides engineers with a more direct path to production than any previous product. “They can kickstart their development activities and accelerate the time it takes to develop a product that can be deployed into production vehicles,” Colin Cureton, senior director of product management for ADAS at NXP Semiconductors, told Design News. 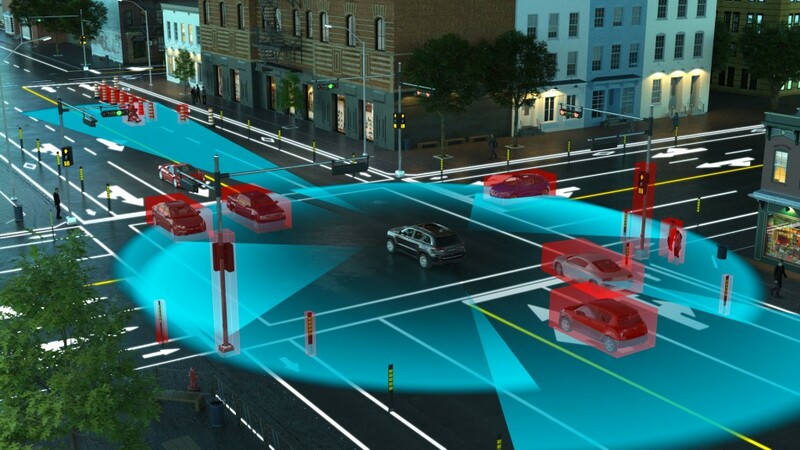 NXP is timing the product rollout for a huge anticipated increase in the use of automotive radar systems. Today, radar is employed in automated braking systems that detect pedestrians and cyclists in front of and behind vehicles, as well as in automated emergency steering, cross-traffic detection, and child detection. By John Toon – Black holes form when stars die, allowing the matter in them to collapse into an extremely dense object from which not even light can escape. Astronomers theorize that massive black holes could also form at the birth of a galaxy, but so far nobody has been able to look far enough back in time to observe the conditions creating these direct collapse black holes (DCBH). The James Webb Space Telescope, scheduled for launch in 2021, might be able look far enough back into the early Universe to see a galaxy hosting a nascent massive black hole. Now, a simulation done by researchers at the Georgia Institute of Technology has suggested what astronomers should look for if they search the skies for a DCBH in its early stages. DCBH formation would be initiated by the collapse of a large cloud of gas during the early formation of a galaxy, said John H. Wise, a professor in Georgia Tech’s School of Physics and the Center for Relativistic Astrophysics. But before astronomers could hope to catch this formation, they would have to know what to look for in the spectra that the telescope could detect, which is principally infrared. Could China’s Raw Materials Strategy Leave US Automakers Behind? By Charles Murray – China’s business relationships are so aggressive, said Jose Lazuen, an electric vehicle and supply chain analyst for Roskill, that it’s almost “too late” for automakers in other regions of the world to catch up now. Chinese suppliers at the show said they view relationships with miners as a necessity, given the volatile and unpredictable nature of the market. “The only way you’re going to (get control) is to have a mindset to get ahead of the game by buying rights to those minerals to keep the prices down,” noted Robert Galyen, chief technology officer of CATL, a China-based company that is now the biggest battery manufacturer in the world. The question of future metal costs is a growing concern, experts said this week, because lithium, cobalt, and nickel will continue to play key roles in future electric car batteries. One speaker at the show noted that the price of cobalt rose 130% last year, while lithium climbed by 50% and nickel was up 28%. Siemens – Automotive OEMs are remaking themselves in an era of digital disruptions across the industry. Product complexity, technological change, and increasing competition places pressure on OEMs to innovate faster. 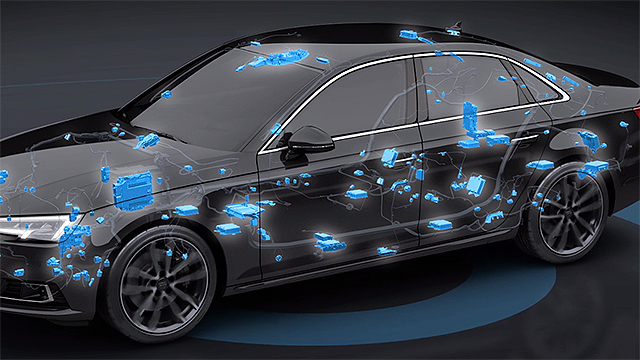 Leading automakers are increasingly using systems engineering processes that span the domains of mechanical, electrical and software functions to realize the innovation needed for next-gen cars.